Truck after truck head into and out of the OPPD facility in Elkhorn. It's a busy hub of activity on any given afternoon. In fact, there are roughly 600 vehicles in the power company's fleet, and they do a lot driving. "We have folks all across our 13-county service territory, from Fort Calhoun to Humboldt, the south rural area," said Anthony Jackson, injury prevention specialist for Omaha Public Power District . 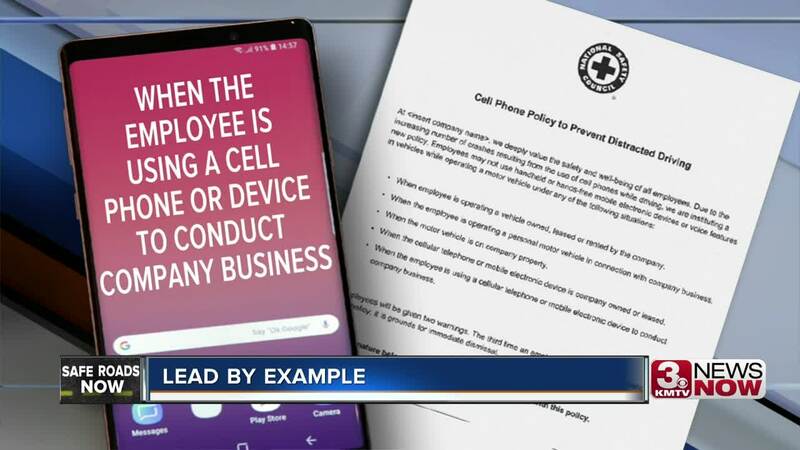 The utility is also a company that is leading by example when it comes to distracted driving, spelling out the rules for its drivers. Each driver must go through training; failure to comply with the policy can result in discipline. The National Safety Council – Nebraska is now recommending that all employers issue a company-wide policy prohibiting the use of cell phones while driving and the rules are very specific. "If they are driving a company vehicle or driving their own vehicle on company business, companies really should have a total ban on cellular phone use while driving," said Eric Koeppe, the CEO of the National Safety Council. "All employees, whether they have one employee or 1,000 employees, have some responsibility for what their employees are doing while they are driving." 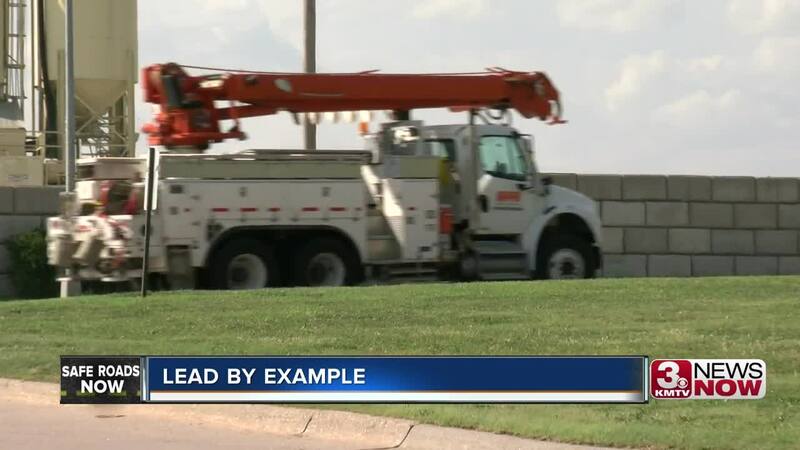 For companies like OPPD, which has almost 2,000 workers, it's not about getting tough on its employees; it's about safer streets for all of us. Managers hope to set an example that other businesses will follow. Koeppe said he believes they can go a step further and try to make a difference at the state level, pushing the Unicameral for legislation to elevate violations like texting and driving from a secondary to a primary offense.